How Fast Does a Blowgun Dart Travel? Blowgun darts can travel up to 400 feet per second. That's 2 times as fast as an arrow shot from a wooden bow. Blowgun pellets now come in .38, .40, .50, and .68 caliber. The .625 diameter "Big Bore" allows better air flow and therefor can shoot heavier calibers faster. Blowguns were mainly used to kill small prey in close quarters. They are quieter than a bow and arrow and quicker. 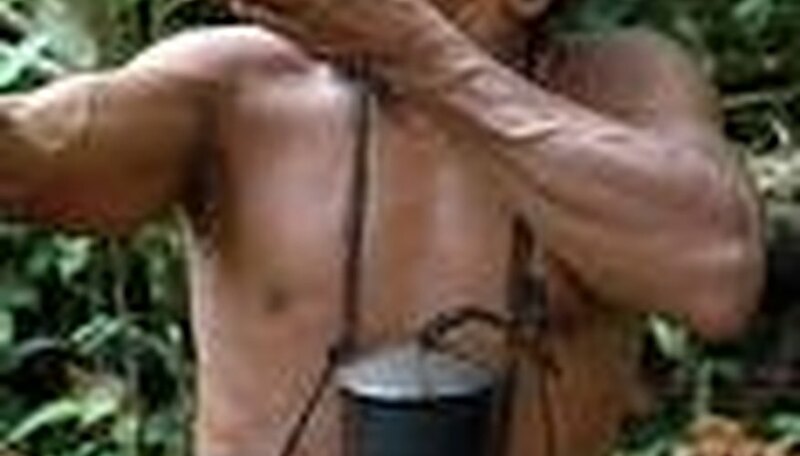 A dart (usually dipped in poison) or a pellet from a blowgun came to almost completely replace the bow and arrow in Southeast Asian jungle and forest hunting. Except for Renaissance Italy, however; the blowgun was not often used during combat. Matthew Di Paoli received his Bachelor of Arts degree at Boston College where he won the Dever Fellowship and the Cardinal Cushing Award for Creative Writing. He recently finished his Master of Fine Arts degree at Columbia University for fiction.